Come in, come in and welcome to our Easter Blog Party. Felix is just adding the finishing touches to our cakes and decorations while Amber sets the table! Grab a drink, sit down and enjoy all our favourite Easter crafts and cakes. We want to help you spring into the perfect tea party mood. At the end why not link up and share all your holiday wares too. Hey Amber! How’s it going over there? Hey Naomi! 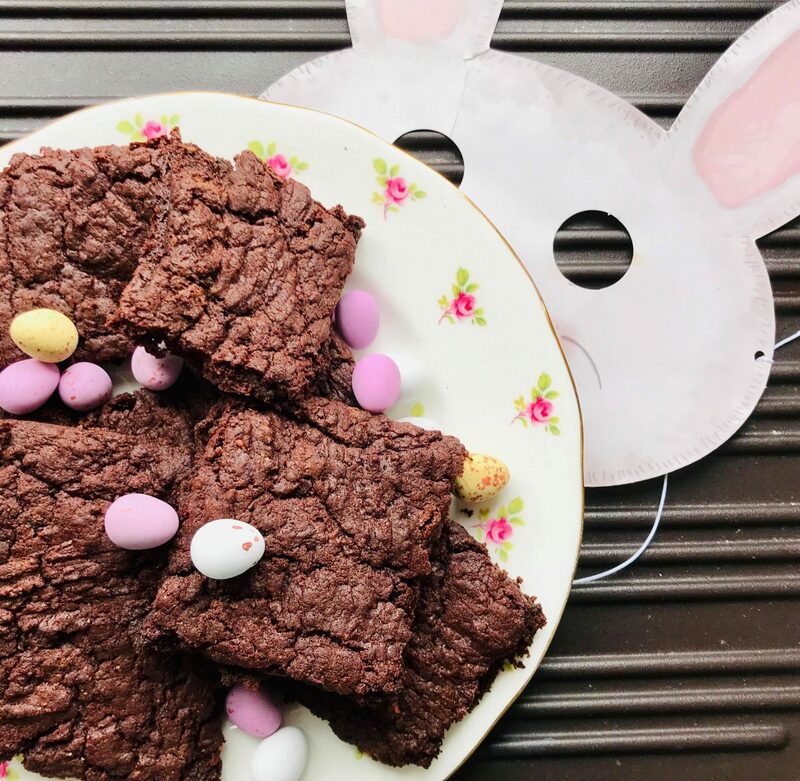 Easter has always been one of my favourite holidays, and with kids it’s even more exciting as it means us parents get to really get involved by making it as special as possible for our little ones! My most favourite part of Easter? What is a party without cake, am I right? 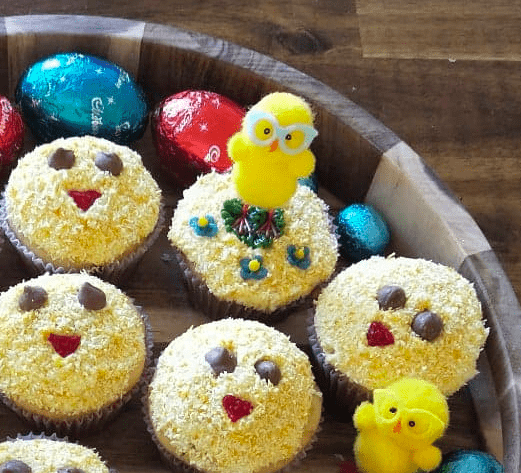 These Easter themed cupcakes are reduced sugar. They taste so delicious and look super cute! I’m loving your vegan brownies though too. So moreish! Wait I better go and check on Felix and Theon with that cake batter. What are you and P up to? 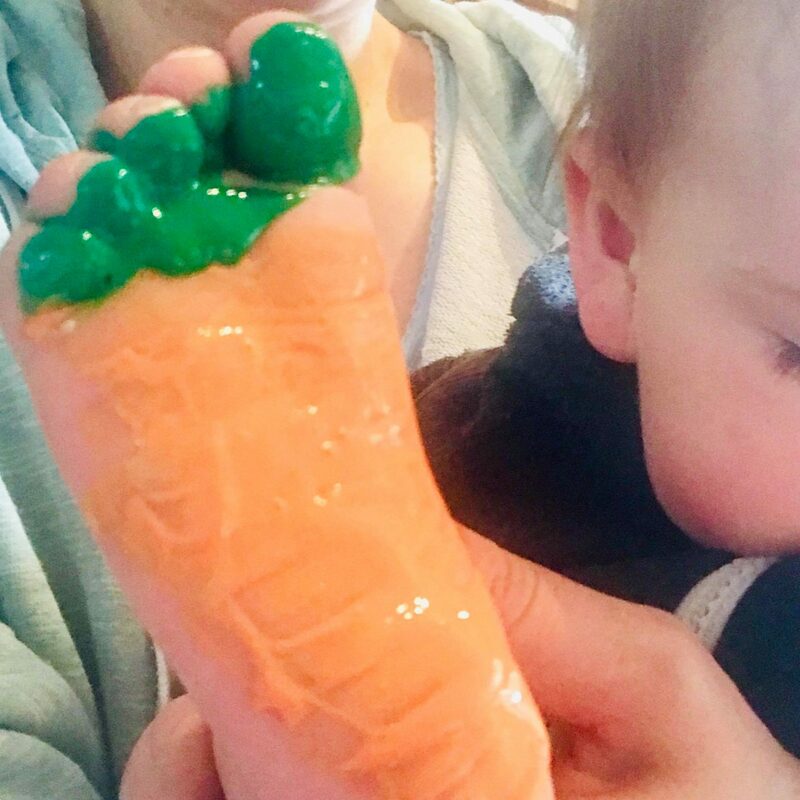 We’re just making some carrot, table top decorations to delight any easter bunny with! Using the kids feet as stencils for our prints. Especially important to me as this is P’s first Easter. It’s nice to have a record of her foot print to put into her first year memory book. You guys have been crafting too, haven’t you Amber? Making gifts for all our guests! 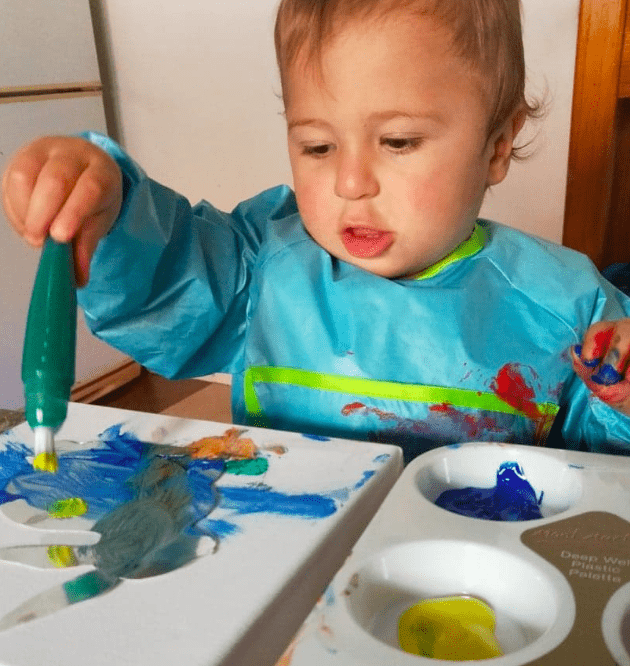 As Felix hadn’t used paints before, I thought what better opportunity than now to let him have a play! As he is only 15 and a half months old, I decided on something pretty easy. After a browse on Pinterest, I settled on a bunny silhouette painting, where all he needed to do was get paint all over his little canvas! What a perfect idea. Right, quick tidy up our first guest is here. What would you like to drink? You too are cordially invited to our Easter Blog link party! Let’s see how far we can stretch this fine Easter spread.